egnite’s Querx WLAN data loggers support restaurateurs in their HACCP-documentation and send alarm notifications whenever any problems arise. The new WiFi data loggers developed by the German electronics manufacturer egnite help restaurateurs and other food processing businesses fulfil their documentation duties. The smart sensors record temperature and humidity values and send alarm notifications to responsible staff members or service providers if limit values are exceeded. The Querx WLAN PT gathers temperature values via any Pt100- or Pt1000-temperature sensors and can be used to monitor refrigerators, cold storage cells, deep freezers or building services. The Querx WLAN TH is supplied with integrated sensors that measure temperature and humidity making it perfectly suited for monitoring dry storage, wine cellars and the seating area’s climate. If configurable limit values are exceeded, the sensors will send e-mail notifications to up to four staff members. This enables immediate measures to be taken, in order to maintain desired values and an ideal hygienic status. An optional delay can be employed to prevent the alarm from being triggered due to routine value exceedances which may, for instance, occur during cleaning work or servicing. When saving values in one minute intervals, the devices have enough integrated memory to log data for 7.5 years. The values can be viewed via the user-interface and exported to spreadsheet applications such as Excel for further analysis and to ensure reliable HACCP-documentation. The unit can be connected to networks using either WiFi or Ethernet. 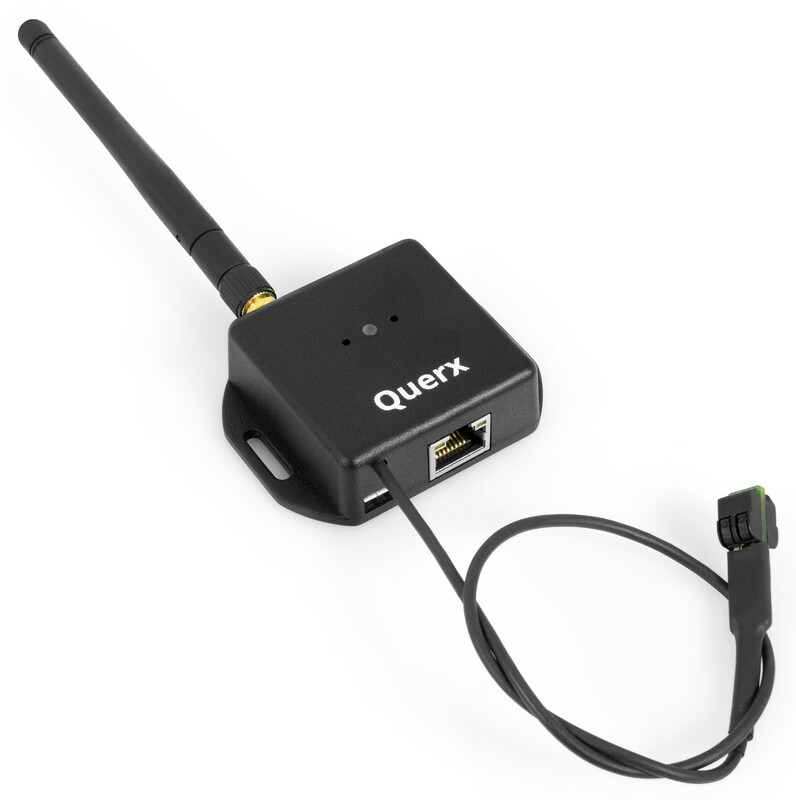 Encrypted transmission allows you to use Querx WLAN in public wireless networks. The support of various free cloud services means that all data can be accessed even outside the company’s internal network. The values can thus be accessed on your smartphone, tablet or PC via the Internet. Furthermore, professional M2M interfaces such as SNMP, Modbus/TCP and the HTTP-API enable the application within industrial process management systems (SCADA) or merging measurements from several sensors in one central location. 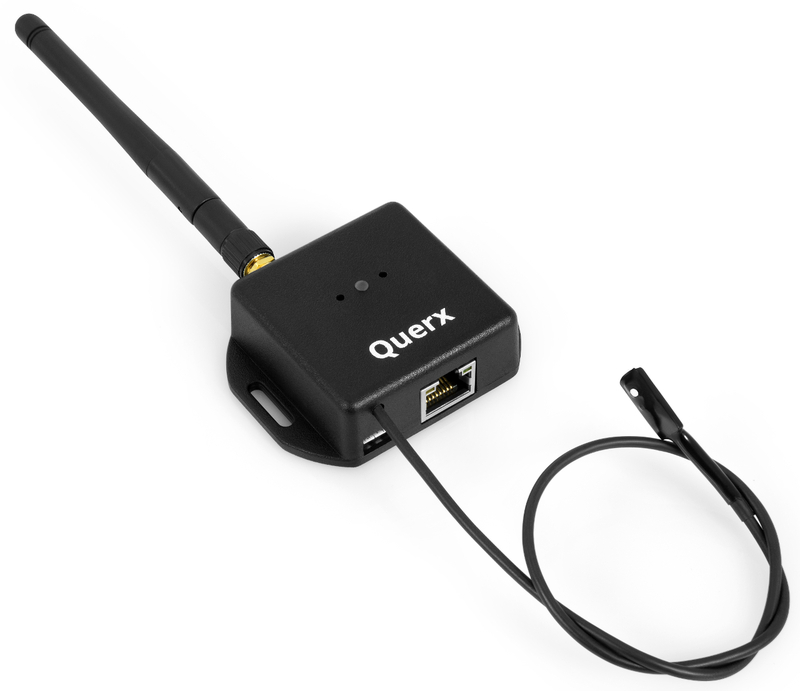 Querx WLAN fulfils the requirements of DIN EN 12830 (German industrial standard). An optional calibration certificate by a DAkkS accredited laboratory (internationally recognized German Accreditation Body) facilitates the application within quality-related business sectors (ISO 9001). Querx WLAN is available from egnite and their sales partners at a net-price of 250 € for the TH model and 265 € for the PT model as of now. egnite develops, produces and distributes intelligent sensor systems, embedded systems and media control systems. The company was founded in 1997 and is based in Castrop-Rauxel, Germany. egnite has gained international renown for its committed involvement in the open-source project Ethernut (Nut/OS). We are looking forward to the publication of our press release in your media outlet. We are, of course, at your service if you have any further questions. Please feel free to contact us if you are interested in a sample product for test purposes.